Over the past few years I have been really trying to find a project that could serve the world in a sustainable way. Organizations and institution are able to outlive their creators when built on solid principles and mutual benefits. I found this within cryptocurrencies like Bitcoin. The fundamental service they provide is a medium of consensus among disparate communities with monetary incentives. However, while a lot of focus is being put on the technology, there is not enough focus on how this can empower the most disadvantaged communities and the economic systems that bind them. That is what the Digital Reserve is about. We are creating a sustainable system that mitigates discrimination in lending and provides a elective economic system. This is designed to be maximize the win-win scenario for those willing to join together in a common enterprise to empower themselves and others. We are working on creating a sustainable decentralized financial institution that values financial inclusion. This is a really ambitious project and it requires help from those who believe in the mission: the creation of an economic system that empowers people regardless of location. The document I shared below is a technical outline of the system. If you want to read a high level business plan for operational details, please message me. My team of 5 is currently working on a cryptocurrency designed to help close the $2 Trillion gap in unmet financing needs worldwide and auxiliary services. As the CEO of the Digital Reserve, I am focused on being part of the establishment of new financial institutions. Our team is developing a decentralized financial services network built around Denarii - a specialized cryptocurrency designed for the needs of everyday people. We have already started onboarding partners, including a United Nations Capital Development Fund sponsored credit union in Liberia. We are currently in the early stage investment phase as we continue to build the network and our client base. We are excited about our continual progress. Check out our most recent Youtube video: Meet Luke which introduces the simplified process for borrowing we are introducing. We also have released a simplified primer to provide a lower barrier of entry and more direct introduction to the Digital Reserve Network's Denarii. Also, watch the Medium Blog for new details on network design, partnerships, operational reports and thought pieces. The Digital Reserve P.B.C. is initiating a $2 million USD debt offering (Token DPA - Tokens as a Debt Payable Asset) solely to accredited investors under Rule 506(c) of Regulation D promulgated by the SEC under the Securities Act. The Company will use the proceeds of the offering to develop the first debt-based cryptocurrency network - the Digital Reserve Network (DRN). The DRN is a peer-to-peer payment system that relies on sustainable lending, collateral-free borrowing and a responsive monetary policy. The DRN is the brainchild of seasoned blockchain entrepreneur Jomari Peterson who started the Company with Joshua Rittenberg a former V100 lawyer. The mission is to build a system that could provide financial accessibility for the $2 Trillion dollars in unmet financing need, while creating an equitable playing field for disadvantaged and disenfranchised communities.. The result is a peer-to-peer payment system that relies on sustainable lending, collateral free borrowing and a responsive monetary policy to stabilize value. I believe The mainstream consumer and individual is eager for a solution to better returns or financial accessibility, while currently trying a variety of risky and costly projects and solutions. We've designed the Digital Reserve Network to be easily accessible with an easy to understand interface with a focus on developing easy on-ramps and off-ramps. For the first time, users, lenders and borrowers alike can participate in an innovative solution that empowers them and each other. They can create a healthier economic system, develop layered solutions upon the platform and create a global community that is beneficial to everyone. After intense development and review, we can't wait to share with the global community and have them nurture this unique solution with us. The Company will be leveraging the newly minted Token DPA to conduct its debt offering: "The Token DPA is an innovative financial instrument developed by the team over at Republic Crypto. It's debt-based, just like our system and was designed to be far more investor friendly than the ubiquitous SAFT agreement," notes Joshua Rittenberg, my Co-founder. "With the Digital Reserve Network, borrowers will be empowered to determine their own interest rates and repayment periods in the process of developing their financial literacy"
The Token DPA is a debt instrument, which is in alignment with the network protocols. By lending money, the offering participants take priority in the case of bankruptcy or dissolution over equity and SAFT holders, in most cases. In addition, the loan gains interest. This allows early supporters to receive all the benefits of supporting the work with more downside protections. For more information visit the thedigitalreserve.org to read the whitepaper and join the newsletter. 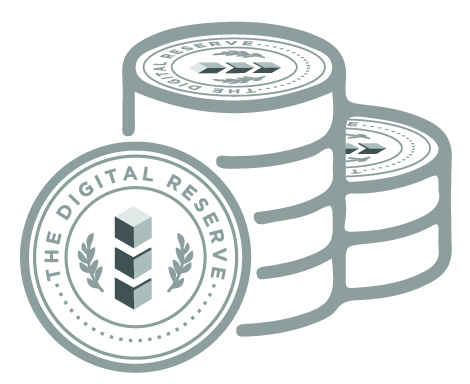 The Digital Reserve Network is expected to launch May 2019. This press release shall not constitute an offer to sell or the solicitation of an offer to buy, nor shall there be any sale of these securities in any state or other jurisdiction in which such offer, solicitation or sale would be unlawful prior to registration or qualification under the securities laws of any such statement or other jurisdiction. Certain statements in this announcement, including statements regarding the proposed offering of the Notes and The Digital Reserve, P.B.C. 's intended use for the proceeds of the offering, are "forward-looking statements" that are subject to risks and uncertainties. These forward-looking statements are based on management's current expectations, and as a result of certain risks and uncertainties, actual events or results may differ materially from those contained in the forward-looking statements, including those factors set forth in The Digital Reserve, P.B.C. 's public filings. These documents contain and identify important factors that could cause the actual results for The Digital Reserve, P.B.C. on a consolidated basis to differ materially from those contained in The Digital Reserve, P.B.C. 's forward-looking statements. This list of factors is not intended to be exhaustive. Such forward-looking statements only speak as of the date of this announcement, and The Digital Reserve, P.B.C. disclaims any obligation to update information contained in these forward-looking statements.